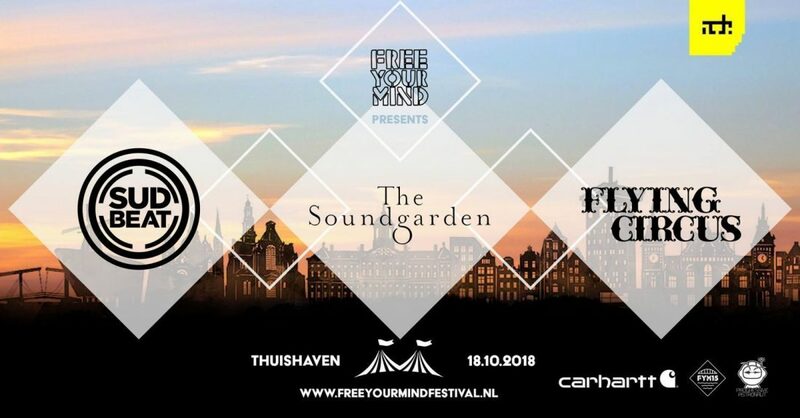 On Thursday October 18th, Free Your Mind Festival is presenting three label showcases at Amsterdam’s beloved Thuishaven terrain. Hernan Cattaneo’s label Sudbeat, Nick Warren’s The Soundgarden imprint and Audiofly’s Flying Circus are joining forces for what promises to be nothing short of an electrifying ADE gathering. Expect to see many of the usual suspects on this day, which is part of Free Your Mind’s 15th anniversary festivities. For this once in a blue moon label gathering the team presents some of the most established artists on their roster. Hernan Cattaneo and Nick Warren will once again be joining forces for an extended back to back set and have invited a lot of the label regulars to join in for this celebration. Amongst the friends of Sudbeat and The Soundgarden you will find names as Nicolas Rada, Marcelo Vasami, Nick Varon and many more. The trademark warehouse will be filled with the absolute top of Flying Circus ambassadors featuring Blond:ish, Unders and FC’s very own Audiofly! Set in the mesmerizing Thuishaven grounds, one of Amsterdam’s most renowned indoor-outdoor festival locations, this promises to be an extraordinary assemblage. For tickets – click here. Below you can listen to sets by Hernan Cattaneo b2b Graziano Raffa, Marcelo Vasami and Mariano Mellino to warm up for this special showcase!